Lowlander wrote: Tools > Options > Tags & Playlists allows you to change the Album Art behavior and folder it will store it in. And if you don't configure it MediaMonkey will ask the user to embed or save externally. I have that set up but it does not work, the art does not get saved to that location, each time I have to enter the information when saving art. Did you report it as a bug as this seems like a bug to me. Lowlander wrote: Did you report it as a bug as this seems like a bug to me. It's been happening so long I honestly do not remember. dypsis wrote: No. I should have been MUCH harsher. I was being constrained. Maybe you have a small library with a simple folder structure, but I just spent hours deleting jpg images. I just do a search for jpg images in my music directory. This finds all the jpg images in the folder structure and I can delete all the images at once. I can't do that. I have valid images in sub folders of my music. That is what is so annoying. It even renamed some of my valid images and put "Copy of" in front of the file name. The stupid thing is that I selected the player to read from tag, like I always do. My music was already tagged, so why create and re-create jpg images? Uh Oh, Helium is going to release a feature that MM does not offer natively: http://www.helium-music-manager.com/for ... tml#p18265. A feature that would make using your library remotely much more appealing. About a year to 18 months ago, I spent a couple of months comparing various players, which ended up as three weeks or so comparing MM and Helium (7 I think). I was looking to start the process of putting a large proportion of a medium-sized collection (approx 1400 albums/discs) on to PCs. I am different to most users (not all) in that a majority of my collection is classical, with about 500 Rock/Pop/World etc, and 100 Jazz. I had already realised that iTunes and WMA and others can be ok for the latter two categories, but were appalling for anything more than a handful of 'classical' albums. MM and Helium seemed to offer the flexibility to organise these categories differently. However, I could never (in my free month) get Helium to organise my collection in two totally different ways, whereas, in the same period I did manage this with MM. So, to anyone reading this who also has a very varied music collection which includes a large amount of classical, I would say that MM is the ONLY software player/organiser that will do what is needed. I looked at almost all, discarded most (quickly), and MM was much better than the alternatives. By the way, organising the classical library entails some initial work, and extra work when ripping. Genres have to be set up, 'Filters and Views' accordingly, and when ripping 'albums' (pseudo-albums?) must be created for each individual 'work'. Once this is done, MM works well. Maybe you are interested to here an opinion of someone who doesn't belong to mm users (i used mm for some special tasks). To be honest: many of you appear as fanboys (not only in this thread) without the ability to make an objective comparison. I am not interested in a long discussion, just hope that some of you will think about it. I would be interested in your opinion, especially as it seems I am the opposite of you. MM is my main management program and I enjoy most of what it offers. However I have tried Helium in the hopes of finding something that my husband will like to use, he does not like the complexity of MM. In fact I spent a significant amount of time beta testing Helium7. Although I think my opinion of Helium may have been tainted because I use some of the more complex scripts that MM has to offer. But excluding the playlist tab which Helium has I do not think it ranks higher in any other area than MM. And although it has a cleaner/more uncluttered look than MM, navigation is difficult. It has to rescan your tracks everytime you move into the separate node areas, very inconvenient. 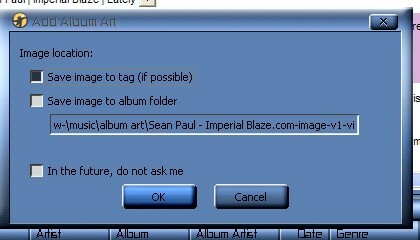 Also, although I did not try it, the Artist tab looked like it had some great potential, but I never tried it. But as I said I am an extensive script user so my particular needs will always keep me here, there just is no other management program out there that offers what MM and it's user community does. But in comparison to everything other than MM, it is fantastic. Also, keep in mind I have not tried any of the tagging features of Helium so I am only speaking on the playlist and general library functionality. Keep in mind I am a lifetime owner of MM and I own a license of Helium, so technically I am supporting both. But yes I am a fangirl of MM because I have not found a program through my many years on pc's that I love and dedicate as much time with as I do with MM. Is this player any good?